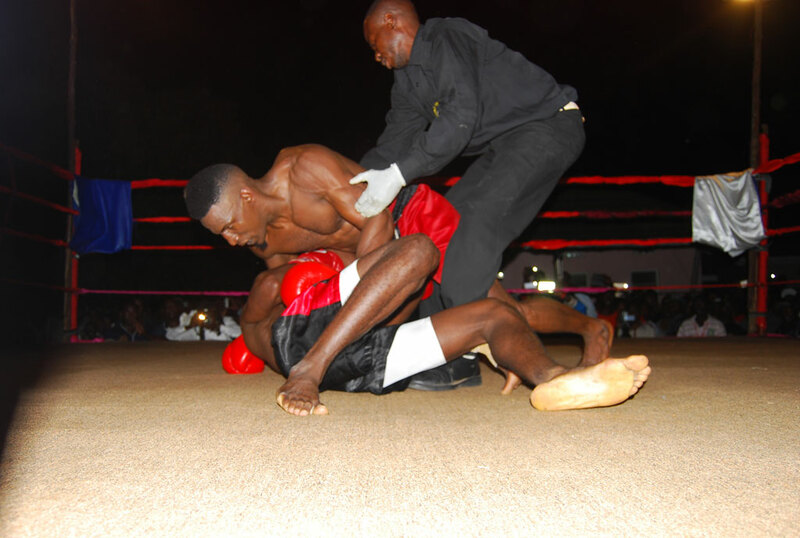 Did you know that National kickboxing champion Golola Moses already had a fight this year? No? We can forgive you. We do not know when we last heard about the man who says he can make a woman pregnant just by looking at her. Golola started his year on a good note after beating up Mbarara-based fighter and national champion Aus Mbata at Agip Motel, Mbarara on New Year’s Day. The fight which started after fireworks ushering in New Year were done, left supporters of Mbata disappointed. 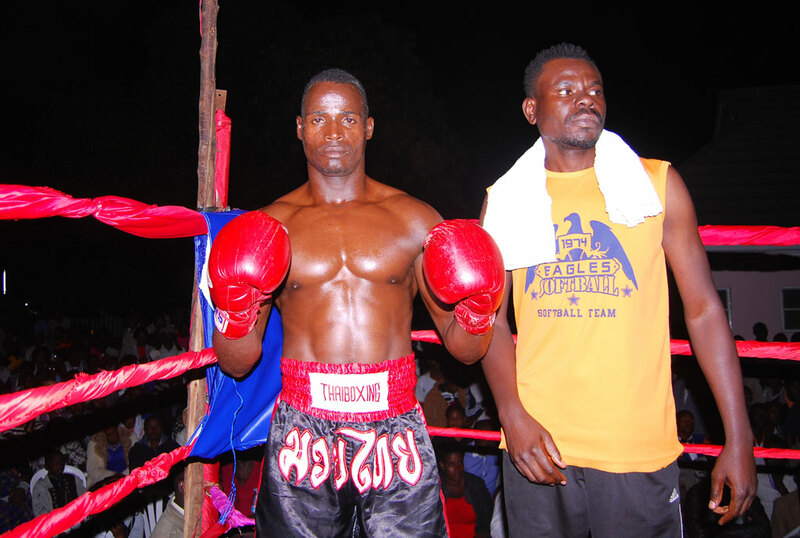 Mbata came in the ring first, in the blue corner as Golola entered in second with his usual antics of intimidating his opponents with several kicks in the air and trying to attract supporters. Most of the people were shouting Mbata’s name. Mbata started the fight with energy before complaining to the referee several times of foul play from his opponent which were denied. 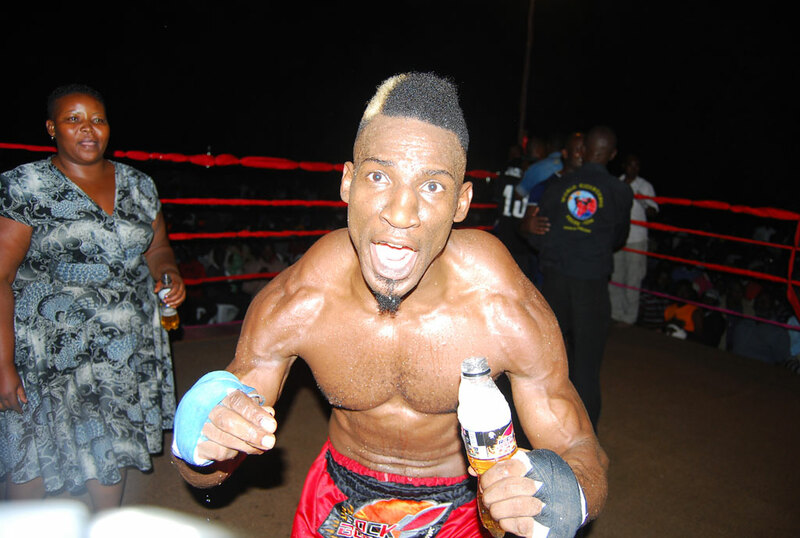 Golola knocked out Mbata in the fourth round when he fell on his back and could not get up in time. Golola said he could not celebrate beating up Mbata since he is a world champion compared to Mbata who is the best in Mbarara. “I’m promoting him so that he can be a world champion some time to come because he is a good fighter but he lacks training and confidence,” Golola said. Mbata refused to concede defeat claiming the referee made poor decisions and asked for a rematch. ‘’Everybody who has been here, has realized that I have beaten Golola because all my punches were reaching him only that the referee favoured him when he hit me on my eyebrow with his elbow, he would punch me while on ground yet the referee could not protect me. 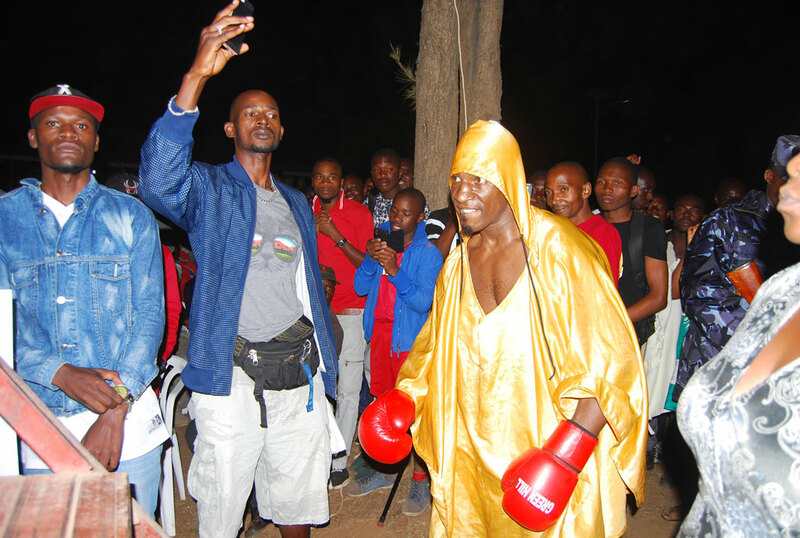 For those reasons I want a rematch from Uganda Kickboxing Federation because I believe that Golola cannot beat me,’’ Mbata said, while showing his supporters a swollen eyebrow. However, Uganda Kickboxing Federation president Hassan Ssekirime said Mbata lost the fight since he failed to stand up when he fell.